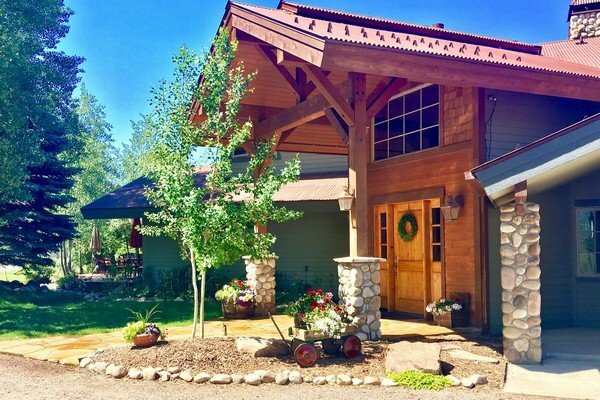 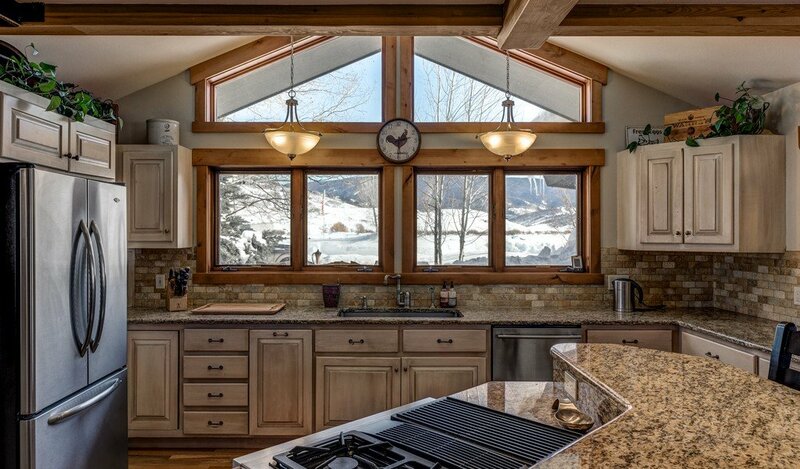 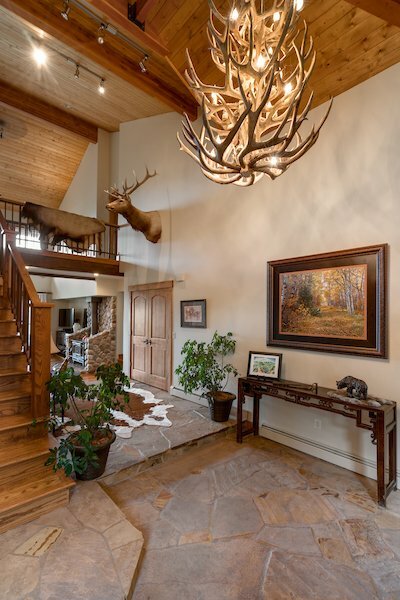 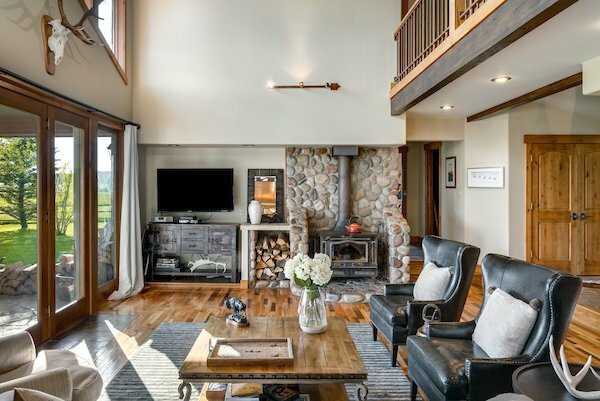 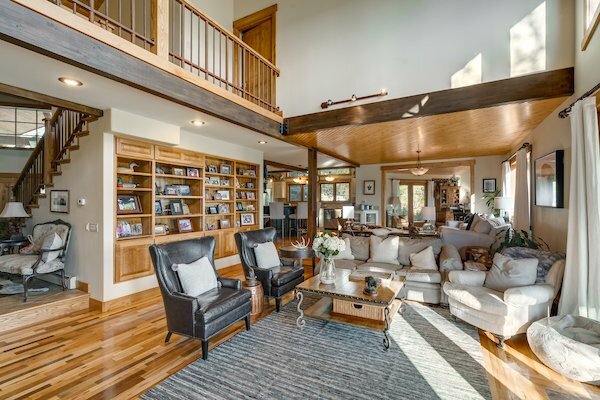 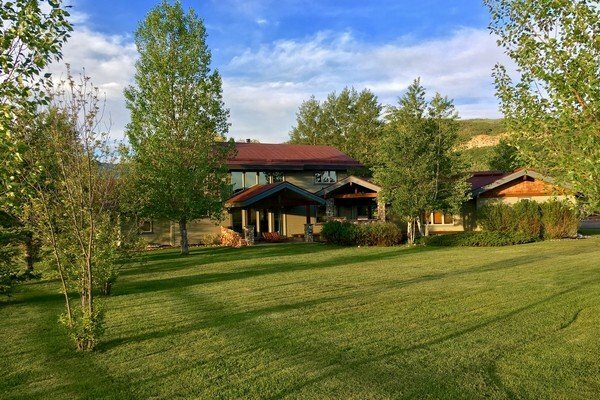 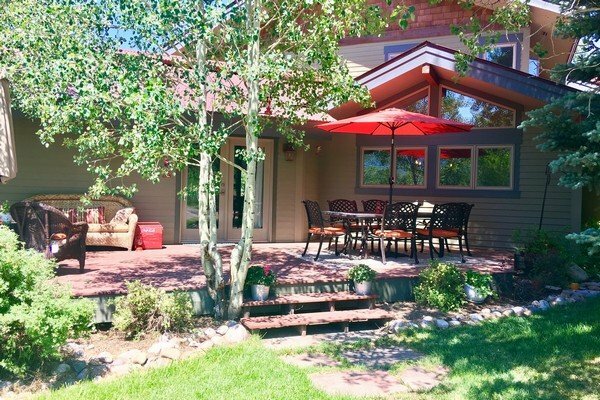 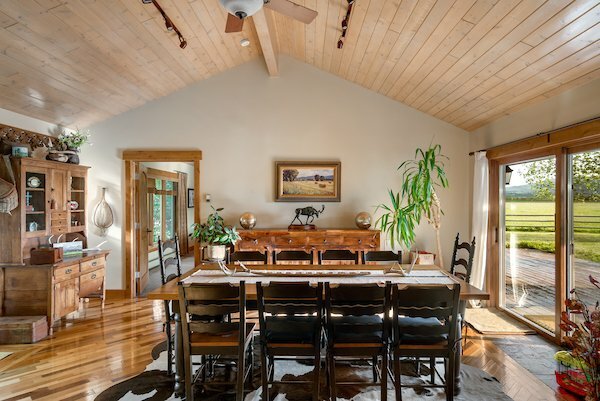 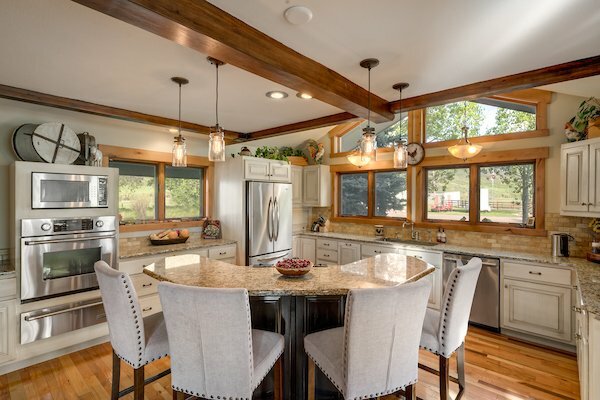 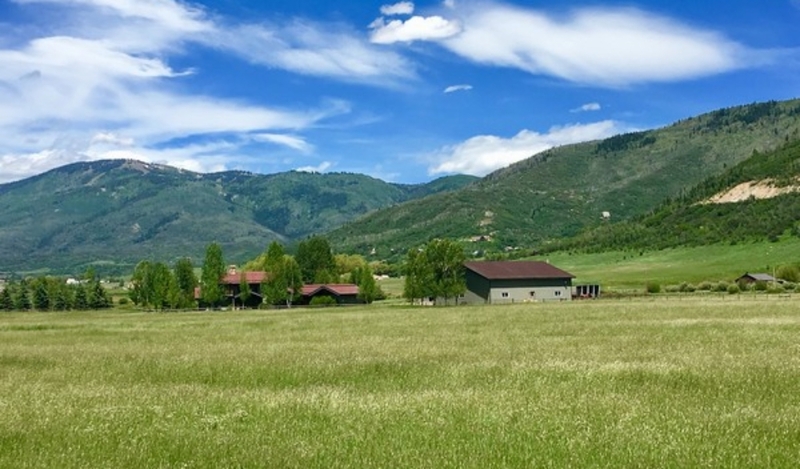 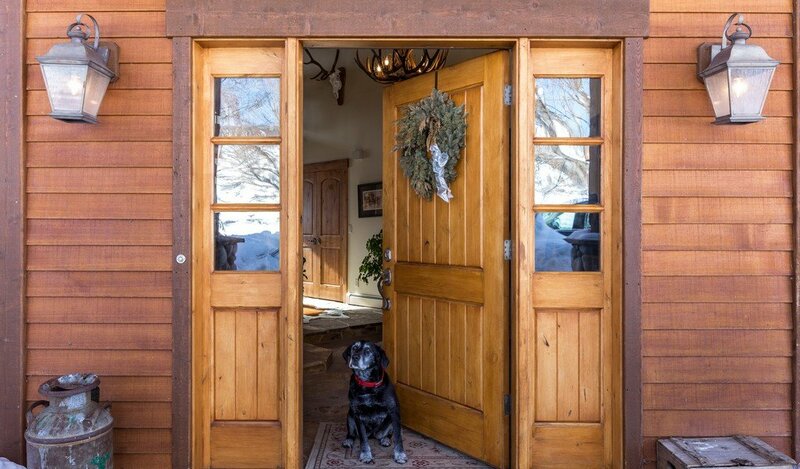 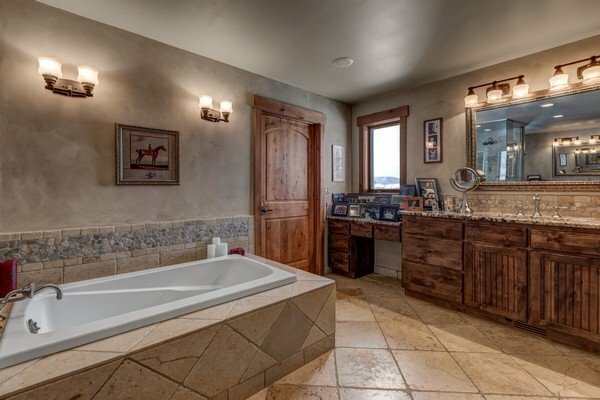 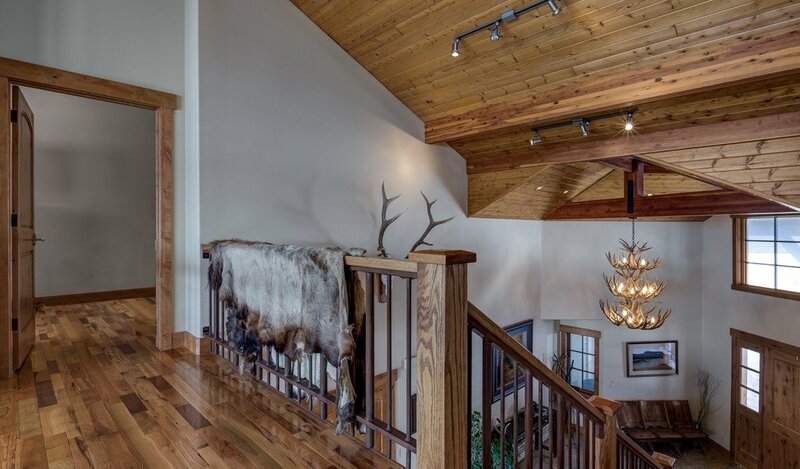 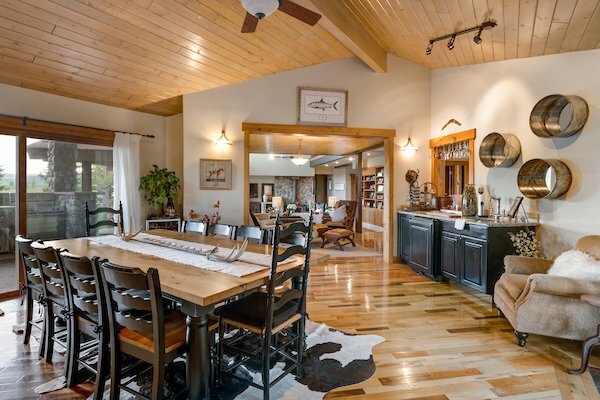 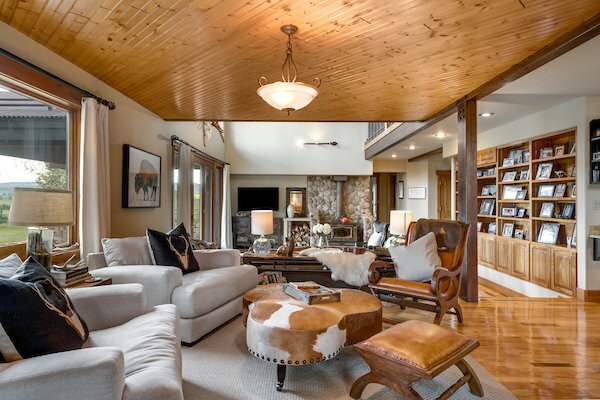 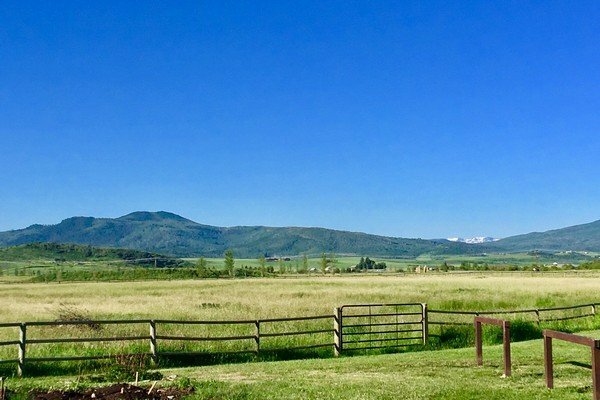 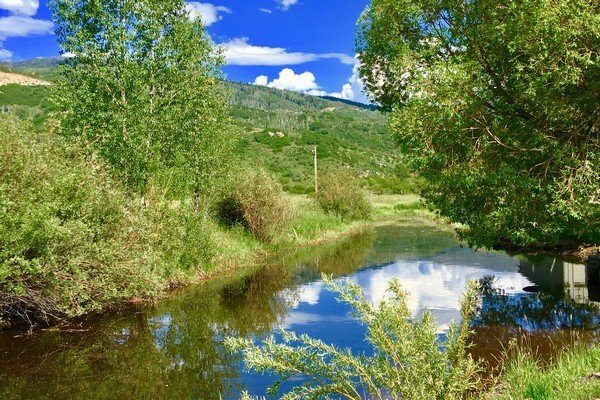 Perfectly located in South Valley and only 4.5 miles to Steamboat Springs, this 36 acre country estate includes a four bedroom, 3 bathroom home with multiple covered decks, outdoor kitchen and mature landscaping. 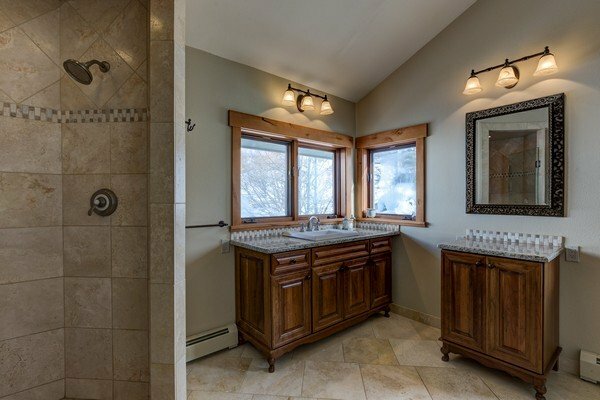 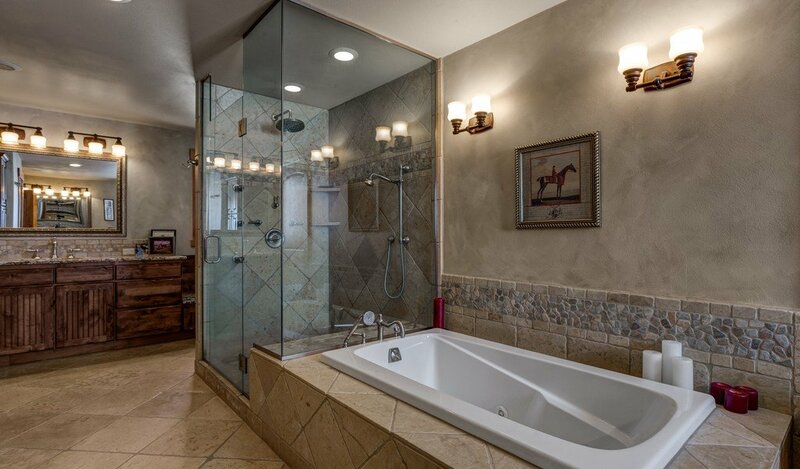 Main level master suite with his & her vanities and walk-in closets, jetted tub and large walk in shower. 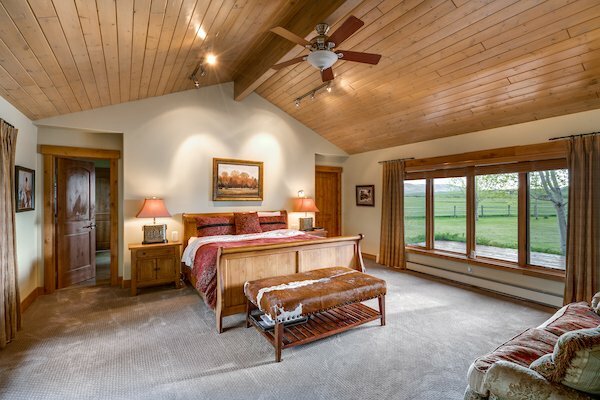 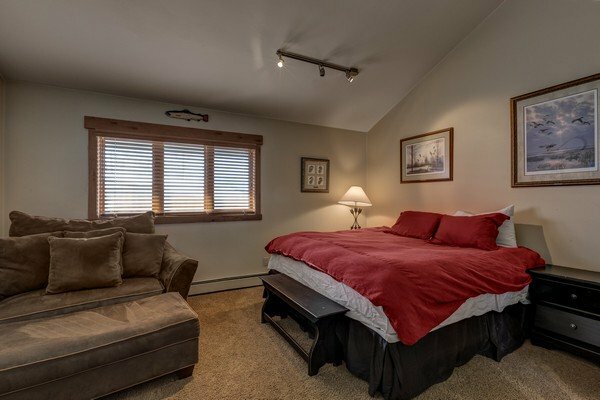 Second master suite upstairs plus private office and recreation room. 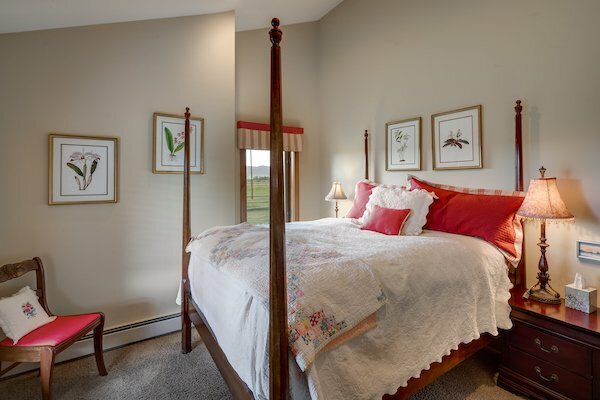 Two additional main level bedrooms with private bath. 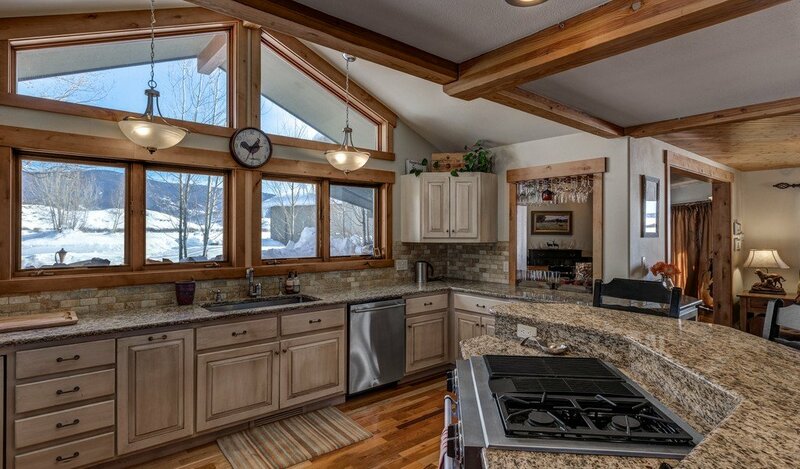 Large kitchen with dual convection ovens, warming drawer and adjacent bar area with refrigerator and sink. 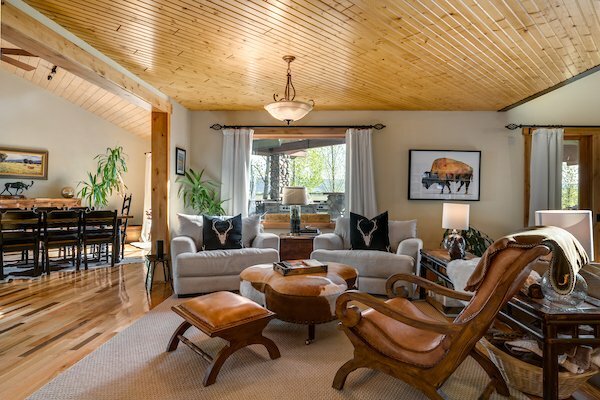 Comfortable living room with wood burning stove overlooking covered porches. 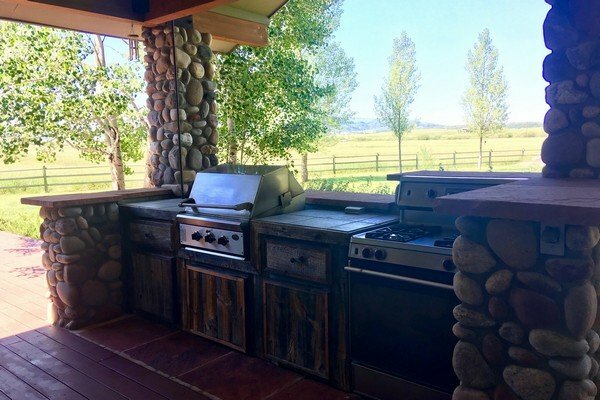 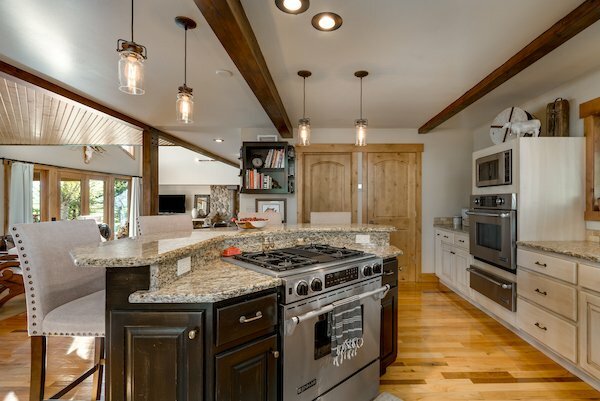 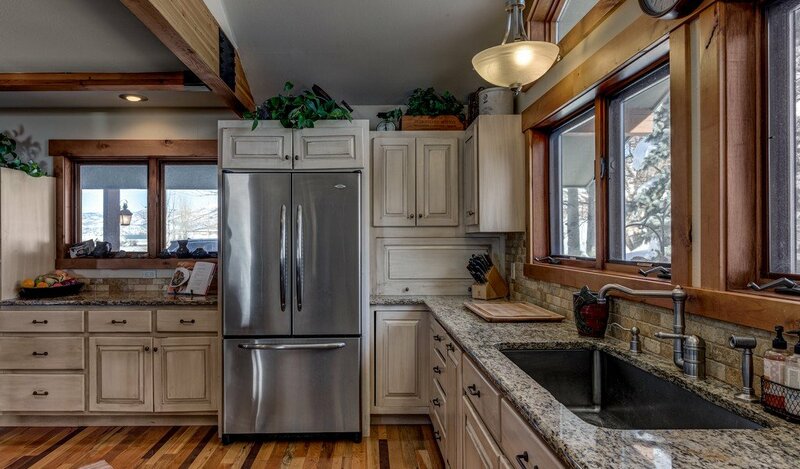 Key to entertaining includes the outdoor kitchen with gas grill and additional range/oven. 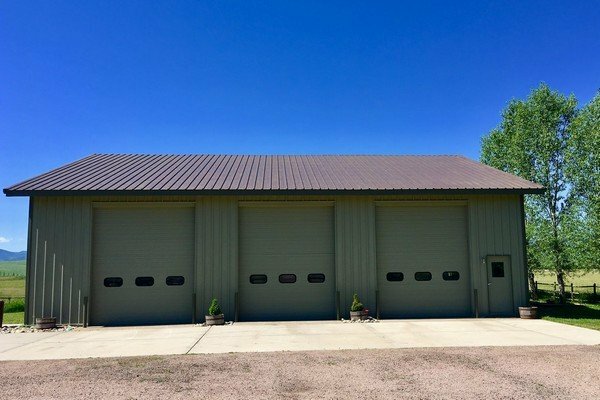 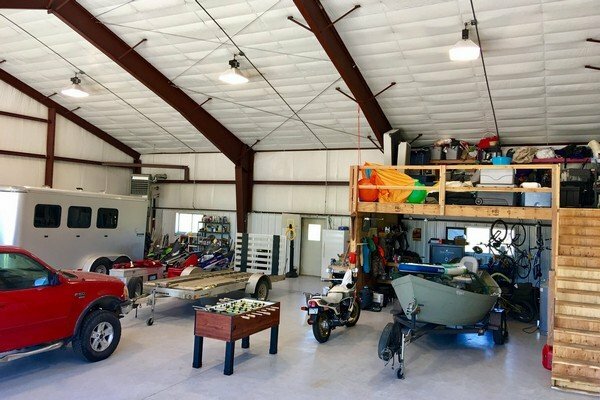 Large outbuildings include a 3600 sq/ft heated shop with built-in work benches, bike & ski storage, additional upstairs storage and is perfect for large RV’s and all the toys. 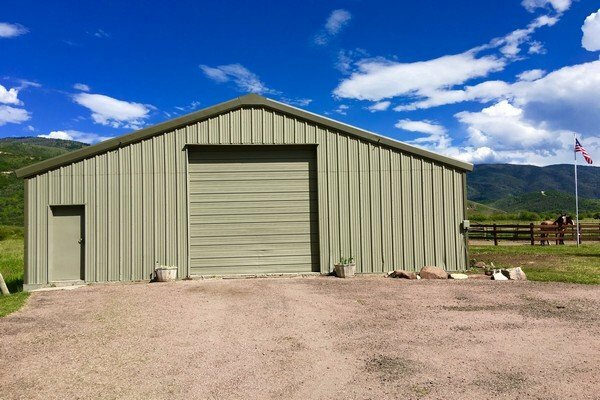 Additional 2500 sq/ft barn with 1 bedroom, 1 bathroom apartment with full kitchen, washer and dryer and large indoor area for parking and storage. 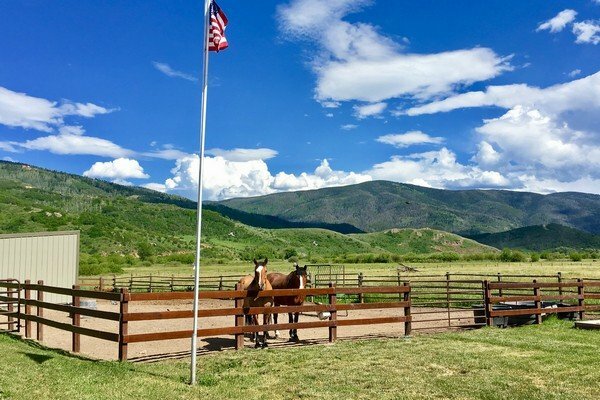 Additional improvements include pond, equestrian sheds, corrals and fencing. 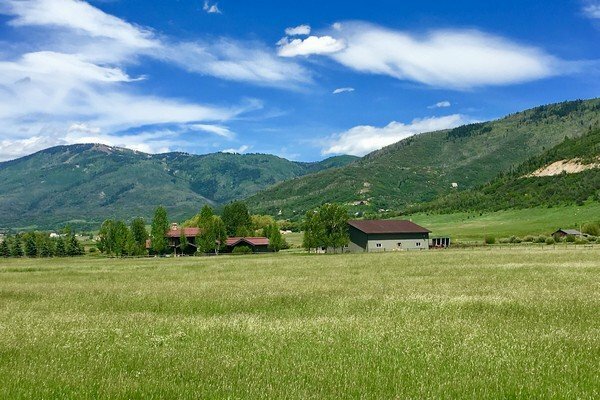 Acreage has senior water rights, agriculture tax status and produces 14 tons of hay annually.